Finland, the happiest country in the world, is trying to export its happiness by offering people free summer vacations. The tourist board is trying to take a little bit of Finnish happiness around the world by allowing people to ‘rent a Finn’ for their jolly holidays in the hopes of finding a Scandianvian sweet spot which makes them happy. The project is giving everyone the chance to travel to Finland and spend time with Finnish ‘happiness guides’ in the hopes their relaxed, nature-driven way of life might rub off and make us a bit happier. RENT A FINN is a campaign where eight ordinary Finns invite foreign visitors to Finland to share their nature experiences with them. Finns want to make Earth happy again! We are renting eight ordinary Finns as happiness guides, who are helping foreign visitors to reconnect with nature this upcoming summer. There are eight Finnish people who’ve signed up to the project and they all offer their own unique slice of the good life to prospective weary travellers. 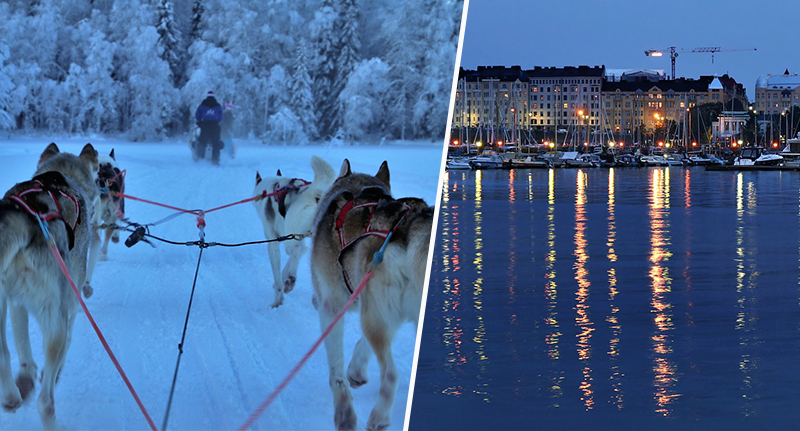 One is called Esko and works as the mayor of Rovaniemi, a rural town in Finnish Lapland. He wants to share the joys of Finnish summer with visitors to his cottage, which include berry-picking, grilling, boating, and playing mölkky, a Finnish game. Another is a couple – Linda and Niko – who live in Utö, the southernmost island in the Finnish archipelago. According to their bio, guests will be ‘introduced to the simplicity of Archipelago life, surrounded by friendly, caring people and harsh, beautiful nature’. They’ll take you sailing and camping with their little dog. Meanwhile, Katja – a social services student and yoga teacher who lives in a very idyllic wooden neighbourhood of Helsinki called Käpylä – wants to show her guests how to experience nature within the city limits. To be in with a chance to rent your very own Finn just film a three-minute video where you describe yourself, your connection to nature, and your goals for visiting Finland, and fill out the application form on the website. Winners, who will be filmed during their journey to happiness, will travel to Finland this summer for three days, with dates varying by host. All travel and accommodation expenses will be covered. Where do I sign up?